This hands-on course covers techniques for diagnosing and fixing performance issues within the instance and the database. These include Standard Edition facilities, also facilities available only with Enterprise Edition licences and with EE options. Some aspects of SQL tuning are discussed, but generally speaking SQL tuning is dealt with elsewhere in the curriculum. As with all SkillBuilders courses, this class (if conducted at your company facilities) is highly customizable to your specific training requirements. 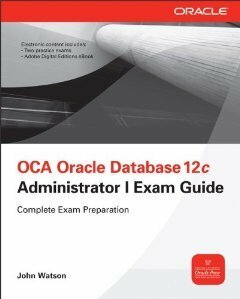 The course is run against the current release of 12c. Much of the content is applicable to earlier releases, and will be “back-ported” as necessary. Hands-on workshops constitute approximately 25% of the class. Is one operation slowing down everything else? John Watson really knows his stuff and is very enthusiastic. John is a wonderful instructor with very practical, real-world knowledge which he is able to relate to the course concepts. I previously attended his webinar on instance recovery and was so impressed that I enrolled for this as soon as I could. The course Helped us to understand more about wait events and performance tune the database by understanding the popular wait events. The Instructor was very good, experienced and full of knowledge.